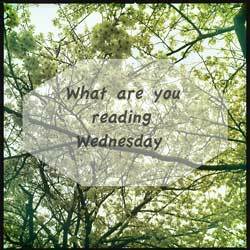 It's been a while since I've done one of these, and I want to know what you are reading now! 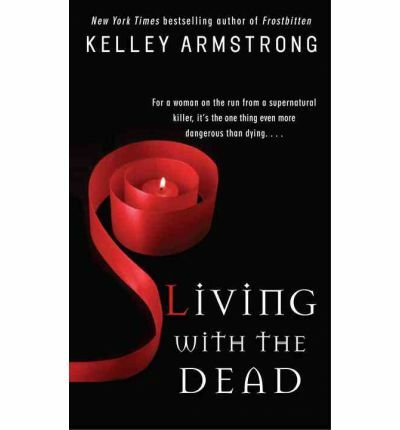 I am reading the Women of the Otherworld series by Canadian Kelley Armstrong. I'm on #9 now, Living with the Dead. It's a good, slightly campy series. Just what I need to keep my mind off more serious matters. This is my least favourite of the series so far, as I think Armstrong is much stronger when writing in first person rather than third (I normally feel the opposite way though!). It's still a good read though. 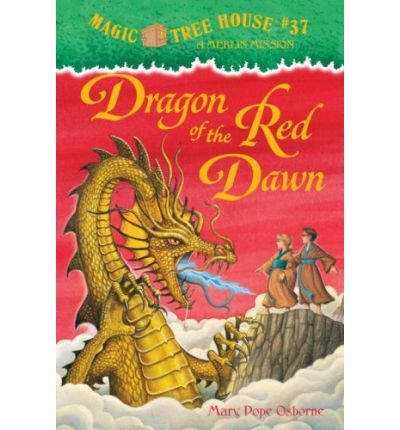 My son picked up Magic Treehouse: Dragon of the Red Dawn in Japanese a couple of weeks ago at his school library, so now he is reading the English one to compare, albeit with a lot of help from me. I wonder which one he will enjoy more! 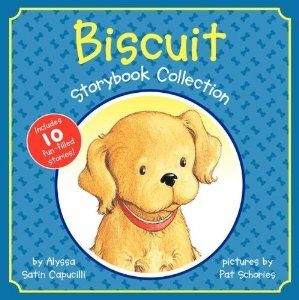 My daugher is enoying Biscuit books, mostly because we pulled out Biscuit Loves Father's Day last week, but also because we now have a dog whose owner is in the hospital. Domba can't read yet but loves to "woof" when Biscuit does. I think she likes the Biscuit Storybook Collection best. Tell me what you are reading, I need my fix! I had a good couple of weeks, when I was travelling I read a couple of books, including Room by Emma Donoghue. I heard about it first on a CBC podcast. I really thought it was an unusual read. Now I'm in the middle of Remarkable Creatures by Tracy Chevalier. It has a bit of a Brontë vibe, even though it is set much later. I'm about a third of the way in and I have no idea which way the story is going to go. I rather like that! Room was really hard for me to read. Good, but emotionally draining. I've never heard of Remarkable Creatures, but sounds great! Love a tragic Brontë vibe. I can imagine...with your own little boy, I think Room would be a difficult thing to read. Remarkable Creatures is okay so far. Chevalier also wrote Girl with the Pearl Earring and The Unicorn and the Lady (about the tapestries). This one is about women finding fossils on a beach near Lyme. The Brontë vibe has slipped away a bit, but I'm still enjoying it.